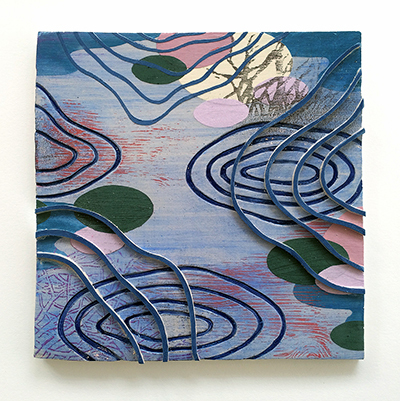 Heights Arts’ second limited-edition commission was awarded to artist members Susan Danko and Andrea LeBlond, who are both previous recipients of an Ohio Arts Council Individual Excellence Award. Danko is known for her semi-abstract landscape paintings with stylized natural forms and atmospheric washes of vibrant color. LeBlond, whose distinctive ceramic designs are available in the gallery year round, provided the expertise and guidance in translating Danko’s visual language to clay. Because all tiles are hand-glazed and hand-built separately, each tile is unique in surface pattern and coloration. Limited edition of 25; signed by the Susan Danko and Andrea LeBlond.